Features twelve different stitching styles. 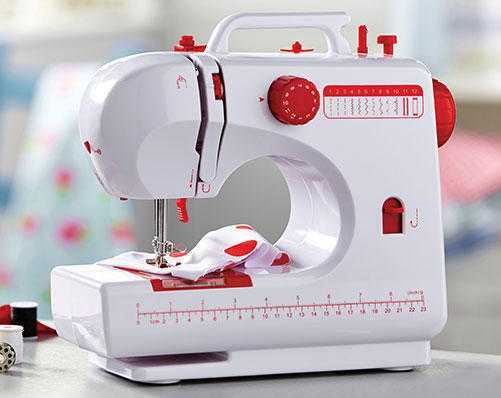 This lightweight sewing machine has a carry handle for easy moving. INCLUDES: 2 thread spools; 2 metal bobbins; 1 needle; 1 threader; 1 foot pedal; 1 AC adaptor. Size H37 x W28 x.